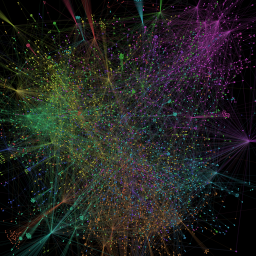 Here is an overview of work I did in the emerging field of Historical Network Research. Illegal Support Networks for Persecuted Jews during the Third Reich: Relational patterns and Network structures at “Networking the Past: Historical Network Analysis, Eugenics and Biopolitics in the 20thCentury”, April 2010 in Vienna. Historical method vs. Network analysis. The case of Franz Kaufmann’s support network [Vergleich historischer Ansatz vs. Netzwerkansatz am Beispiel des Hilfsnetzwerkes um Franz Kaufmann] at the Second Workshop Historische Netzwerkforschung, May 2010 in Essen. Social network analysis for historians: Potential and challenges of Historical Network Research [Soziale Netzwerkanalyse für Historiker: Potenziale und Herausforderungen der Historischen Netzwerkforschung] at “Networks of Paupers and Debtors: Qualitative and Quantitative Approaches to Forms of Monetary Dependence in the Modern Period”, February 2011 at the German Historical Institute London. Presentation: Keynote: Historical Network Research – Social Network Analysis for Historians [Historische Netzwerkforschung – Soziale Netzwerkanalyse für Historiker] at „Kooperationen und Netzwerke inbildungshistorischer Perspektive“. Jahrestagung der Sektion Historische Bildungsforschung in der DGfE, September 2011 in Basel. Fragmentary network analysis: Coding, visualising and quantifying relational data under extreme conditions [Fragmentarische Netzwerkanalyse: Codierung, Visualisierung und Quantifizierung von relationalen Daten unter erschwerten Bedingungen] at „6. Workshop Historische Netzwerkforschung / ASNA 2011“, September 2011 in Zurich. Historical Network Research, a platform for scholars to present their work, enable collaboration and provide those new to network analysis with some helpful first information. Includes an extensive bibliography, a newsletter, videos, links to conferences, documentation of the workshop series „Historische Netzwerkforschung / Historical Network Research and other resources. Together with Ulrich Eumann, Linda von Keyserlingk and Martin Stark I established this workshop series which brings scholars in the field together. Over the last years these efforts succeeded and resulted in a steadily growing international network. After now six workshops we look forward to develop the concept further while still maintaining its hands-on pragmatic feel. “Netzwerkanalyse in den Geistes- und Sozialwissenschaften” (Network Analysis in the Humanities and Social Sciences) at the University of Trier together with Martin Stark and Christian Nitschke in 2009 and 2010.